Affordable Insurance has been a leading provider of auto insurance in the state of Indiana since 1988. Our six locations cover the entire state and our experienced agents will help you get insured with the lowest down payment and low monthly payments that you can afford. No matter your Age, Driving Record or Vehicle we can offer you a policy that fits your needs and budget. 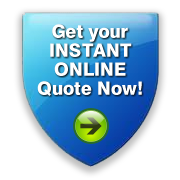 Get a quote today and see how Affordable Insurance can save you money. We simplify the license reinstatement process into one step. We can process your reinstatement fees and file SR-22 and SR-50 quickly. Stop into one our offices or call (800)-742-8328 for quick and professional service.